The S-400 Triumf anti-aircraft system. A regiment equipped with the new S-400 Triumf air defense missile system has taken up combat duty in the Moscow Region, the Russian Defense Ministry said on Jan. 11. The new missile system arrived in the Moscow Region from a firing range in Kapustin Yar in the Astrakhan Region, southern Russia, after successful firing exercises. 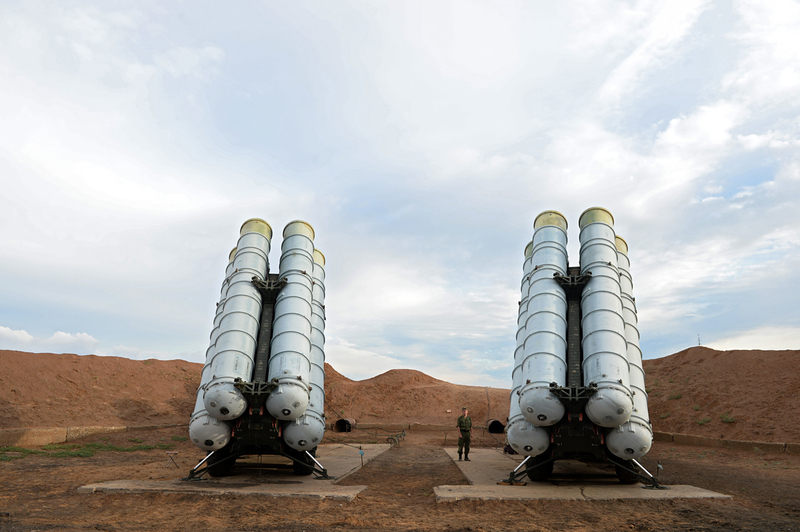 "As part of re-equipping the Aerospace Forces by modern and advanced missile defense systems another regiment-size set of S-400 Triumf system entered service in one of the Moscow Region’s air defense task forces of the Aerospace Forces," the ministry said. Another air defense regiment equipped with the S-400 system will be put on combat duty in the Moscow Region soon after being redeployed from the Kapustin Yar range, the ministry said. The ministry said that the key task of the air defense missile regiments is to protect the airspace over the country’s important state administration and military control centers, industrial and energy facilities, the Armed Forces units and transport infrastructure from the adversary’s attacks. Last year, four air defense regiments were re-equipped with S-400 Triumf systems.